Every time the legendary band Phish plays on Halloween, fans know they’re in for a surprise: Since 1994, the band has devoted the second of its three sets to a “musical costume.” It’s not something they wear, but something they play—a cover of a classic album, like David Bowie’s The Rise and Fall of Ziggy Stardust and the Spiders from Mars, Talking Heads’ Remain in Light, even Walt Disney Records’ Chilling, Thrilling Sounds of the Haunted House. In the weeks leading up to the show, the band’s most ardent fans devote no small amount of time to guessing what that year’s musical costume will be. The smart money in 2018 was on Jimi Hendrix’s Electric Ladyland, to celebrate that album’s 50th anniversary, or something by Tom Petty, who’d passed away since the last Phish Halloween show. It’s not just ticketholders who can get in on the fun. Since 2002, Phish has been making audio downloads of all its shows available on Nugs.net within days of the concerts. In 2010, Phish delivered its first live pay-per-view stream of its New Year’ Eve concert at Madison Square Garden, and soon started live streaming most of its concerts on LivePhish.com, and in the last few years via the LivePhish app for iPhone, Android, and a variety of set-top boxes and smart TVs. But in 2018, Phish gave its fans another surprise on Halloween: It would deliver the show—and the three that followed in the band’s 4-night stand at the MGM Grand Garden Arena in Las Vegas—in 4K as well as the usual HD. It wasn’t just the first 4K live stream for Phish. 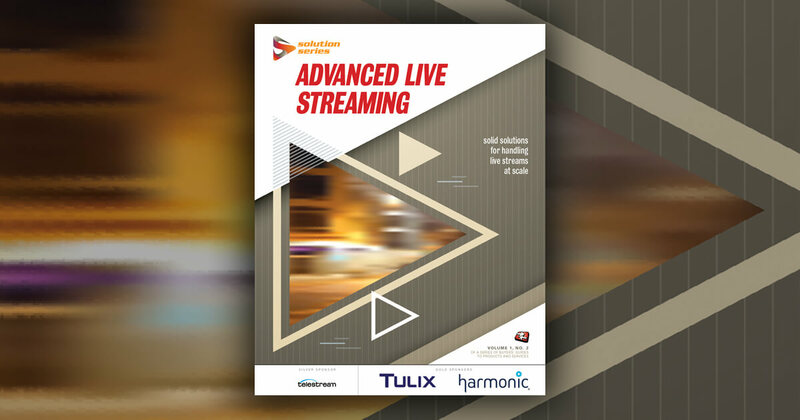 Believe it or not, it was the first 4K live stream of any major concert. What follows is the story of how it came together and how the band pulled it off with the help of its technology, creative, and business partners: video crew 201 Productions; software-as-a-service streaming platform MobileRider Networks, live streaming and download service Nugs.net, and content delivery network Akamai Technologies. So what was the 2018 musical costume, anyway? Rather than cover an actual album, Phish invented a fake 1980s Scandinavian prog rock band it called Kasvot Växt and an album called í rokk. It went so far as to hand out a program in Las Vegas featuring a history of Kasvot Växt and to plant stories in the music press—it even got well-known critic Stephen Thomas Erlewine to write a biography and album review for AllMusic. A funky, synth-heavy departure from the band’s usual guitar-centric sound, Phish’s second set was perhaps the biggest surprise they’d ever given their fans. 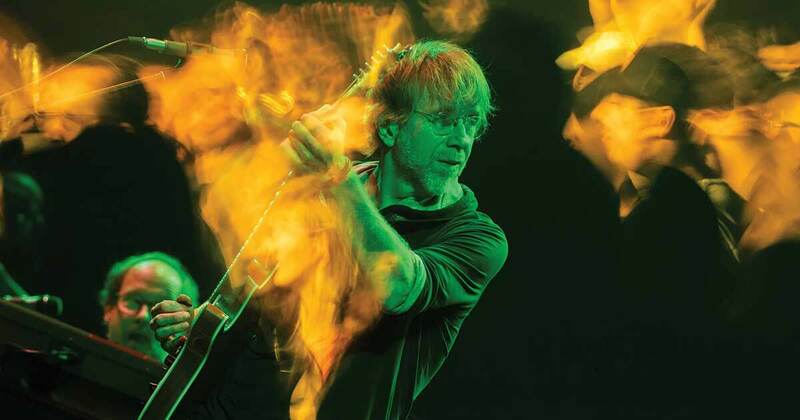 The band, the stage, and the instruments were all in white, and guitarist Trey Anastasio and bassist Mike Gordon even broke out some choreographed dance moves. Phish’s commitment to video starts long before a live stream ever reaches a LivePhish customer, and the band and its video crew take it one step further than most artists. 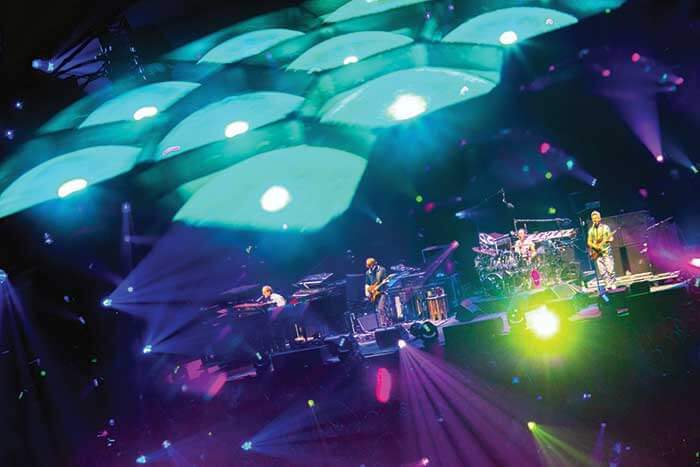 While almost all arena and stadium acts feature image magnification (IMAG) screens so fans in the back of the venue can get to see close-ups, Phish foregoes the in-house video entirely—they want the fans’ eyes on them and each other, not screens—but instead they have a dedicated video team that shoots everything for broadcast and for the band’s archives. For most Phish shows, Kerr directs a six-person crew, sometimes with the help of a second director. Kerr also acts as engineer, but he says that all of his camera operators have engineering backgrounds. As for the cameras, the crew has one camera on stage, one in the pit in front of the stage, and a shooter high in the venue with an extra-long lens. On top of that, they have five robot cameras controlled by a single operator, four on stage and one that Kerr says he finds “somewhere interesting” to put at every show. Finally, they have five POV cameras for close-ups of things like keyboardist Page McConnell’s fingers and drummer Jon Fishman’s kit. For the Halloween show, Kerr and his crew had the added challenge of working with Phish to make sure their equipment was invisible against the all-white stage. Kerr couldn’t talk about exactly what they had to do differently, but there was plenty of white-wrapped cable visible when I spoke to him backstage before the second night of the Vegas run. MobileRider Networks is a Salt Lake City-based company that provides software-as-a-service platforms for streaming live video, working with heavy hitters such as Facebook, Live Nation, NASA, U2, and the Grammy Awards. They were responsible for getting the video signal from the MGM Grand Garden Arena to Akamai for delivery to LivePhish customers, and the first 4K webcast posed some unique challenges. On-site, 201 Productions delivered its quad 4K signal to MobileRider’s AWS Elemental Live L700 encoder, then to an AJA 12GM distribution amplifier that delivered the primary feed to the satellite truck, Frederick says. 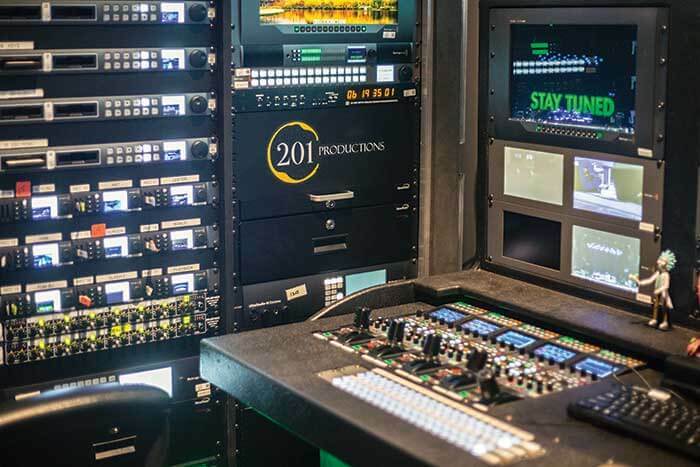 The satellite truck took used Ericsson AVP 4000 4K UHD encoders to encode to broadcast TV 4K format, and then that signal was beamed up to the EchoStar 105 in a 16 MHz slot and pulled down to the Salt Lake NOC using an Ericsson MediaFirst Content Processing Decoder. “That feed was then ingested into an Elemental Live L700 encoder to encode a full array of 4K HLS bitrates into the Akamai MSL 4 [network],” Frederick says. Akamai dedicated staff in its Broadcast Operations Control Center (BOCC) to monitor the delivery to LivePhish customers. 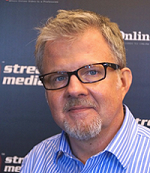 There's more to delivering a live experience than just streaming video. AEG explains how to create an immersive social event online. Major release shows music lovers thousands of classic and new rock music performances in remastered video.